“36 Hours in Koreatown, Los Angeles,” the video accompanying the February 11 New York Times What to Do in Koreatown, Los Angeles article, starts with two men playing go. Also featured is the Korean Cultural Center, Los Angeles, which hosts the annual Cotsen Open. Thanks to David Matson for passing this along. 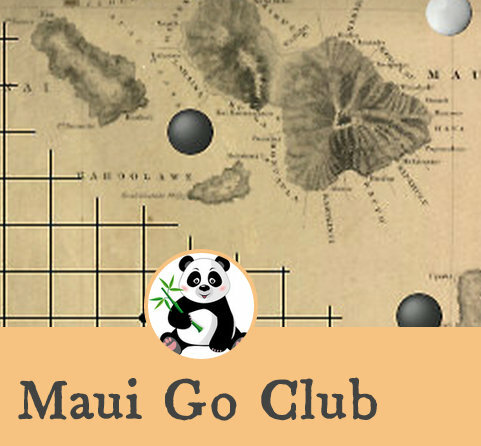 Maui HI: Players wanted for the Maui Go Club. We meet Thursday evenings every two weeks. Contact Danny at Maui.Go.Club@gmail.com wit 2015.02.12_maui-go-clubquestions and our current meeting time and location. You can also get time and location information at our website or on our Facebook page, Maui Go Club. Cambodian Go Contact: “Sensei’s Library has a listing for Cambodia; contact ghislain on KGS,” writes Edward Cherlin in response to the February 6 Your Move/Readers Write: Cambodian Go Wanted posting. “I do not know whether that is a current connection,” adds Cherlin, a long-time go player who’s an adviser to the Cambodian Mathematical Society. Dalsoo Kim, secretary of the Asian Go Federation, also wrote in to ask that “If you find any connection in Cambodia, just let me know for my promotion in that area.” Reach him at aaatechm@daum.net. The 22nd annual Redmond Cup will begin in April, and registration is due by March 15th. Preliminary games will be played online and the four finalists will be invited to the 2015 US Go Congress to play the final games. There are two divisions in the Cup; the Junior league for kids 12 and under, and the Senior league for 17 and under. 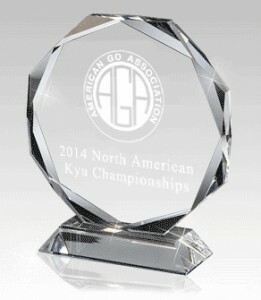 Competitors in both leagues must have an AGA or CGA rank of 1 dan or higher. 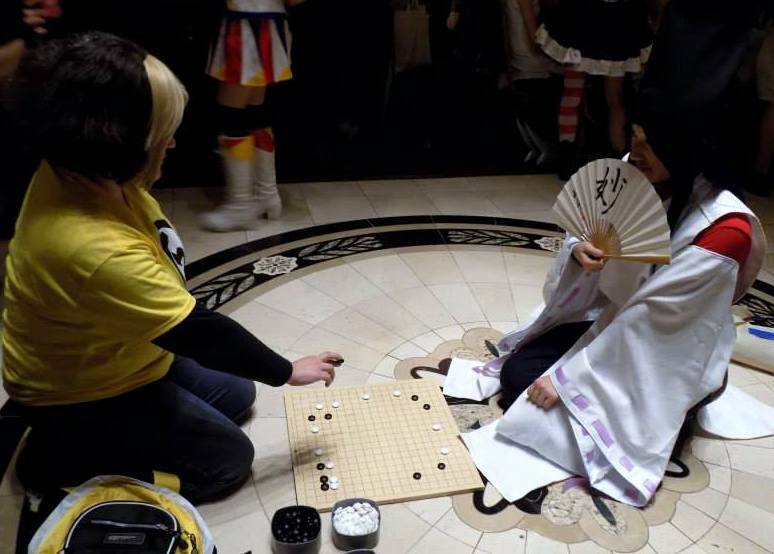 The Junior league has been expanded to include 12 year olds, and both leagues now require a dan rating (kyu players can compete in the North American Kyu Championships instead). Players who complete the tournament will be eligible for $400 scholarships to the AGA Go Camp, or $200 scholarships to the US Go Congress, on a first come first served basis, courtesy of the AGF. Competitors from Mexico are also invited to the event. The participants must be members of the American Go Association or the Canadian Go Association and either residents of the U.S., Canada or Mexico, or citizens of the United States living anywhere in the world, provided that they are also members of the AGA. For more information on the event, read the rules document here. To register click here. -Story and photo by Paul Barchilon, E-J Youth Editor. 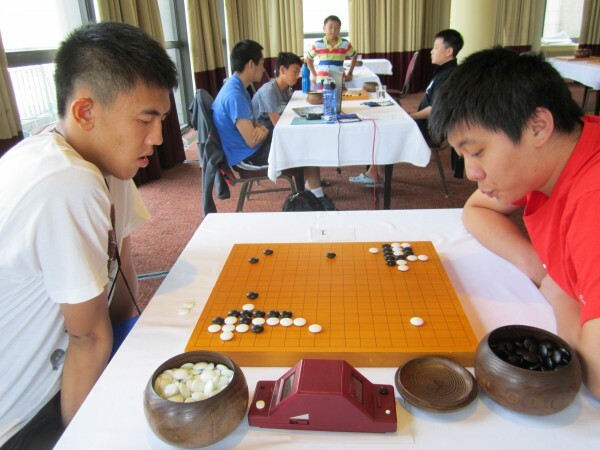 Photo: Bill Lin 7d (l) vs. Jianing Gan 7d (r), in the foreground, while the Jr. League players compete in the background, at the 2014 US Go Congress in New York..
Park Junghwan 9p has defeated Kim Jiseok 9p to win the 19th LG Cup 2-1. This was Park’s first LG Cup title, and only his second international title since winning the 24th Fujitsu Cup in 2011. 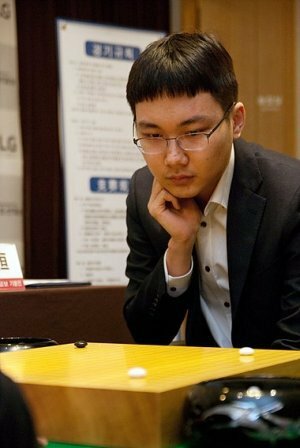 Though Park is currently ranked #1 in the world according to the rating system used by the Korean Baduk Association, in recent years many go fans doubted his ranking, because Park hadn’t won any international titles since 2011. The LG Cup final was held on February 9, 10 and 12 in Gangneung, Gangwon-do, Korea. 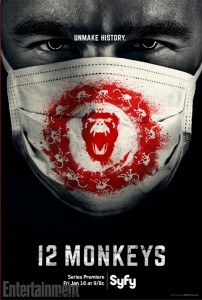 SyFy’s “12 Monkeys”: The latest episode of SyFy’s “12 Monkeys” is titled “Atari.” “A character describes a dire post-apocalyptic predicament as being ‘in atari,’” reports Steve Berthiaume. 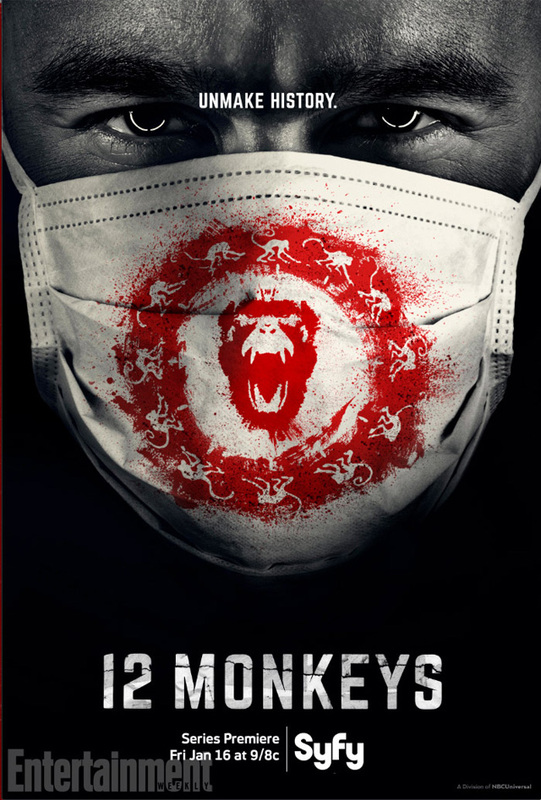 “The character describes go (and) how he used to play it.” Adds Jeffrey McLellan, “He and his friend are in rather desperate straits and he tells his friend that they are in atari. They only have one more move or they are finished. ‘Being in atari is bad.’” Click here to watch the episode. “The Academia Cubana de Go is organizing a tournament in Havana at the beginning of April and is encouraging US players who want to compete to come,” Bob Gilman writes. “Under President Obama’s new Cuba policies, travel restrictions for US citizens going to Cuba have been liberalized.” Write bobgilman.aga@gmail.com if you want more information about this tournament and travel possibilities. 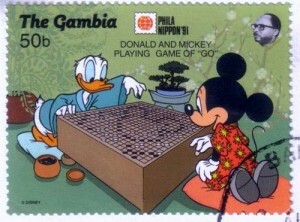 Gambian Go Stamp: “This picture of a stamp, I think it might be from Gambia, was sent to me by my friends at the Beijing Go Club,” writes Gordon Castanza. Hikaru Cosplay in LA: This year at Anime Los Angeles, held January 9-11, Samantha Davis cosplayed Hikaru from Hikaru no Go. “My friend Kazuki Deng cosplayed Sai (and) we had a little impromptu photo shoot in the hotel lobby.” photo by Cecilia Nguyen. European Youth Go Team Championship: In round four of the European Youth Go Team Championship, the UK’s youth team narrowly lost to Czechia 2-3. They currently rank 11th out of 13 teams. - edited by Amy Su from reports on the BGA website.